Adsorbs, prevents, neutralizes and oxidizes odors. 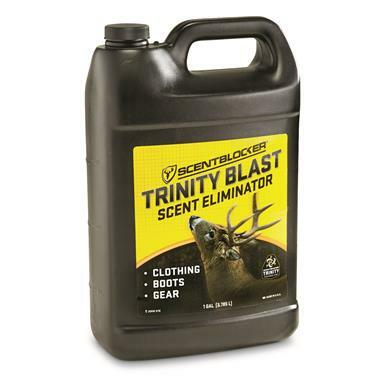 TrinityTM Blast will help you get so close to that deer, you can almost smell its breath. ScentBlocker® scent elimination formula keeps your human smell under wraps—and in turn, makes you nearly undetectable in the woods. Destroys odors in four ways: adsorbs, prevents, neutralizes and oxidizes. Spray it on your hunting clothes, boots, gear and more. Best of all, you don't have to wait for it to dry before it obliterates your human scent.